Alchemy Gothic's Petit Ouija Pendant is a pewter planchette necklace. 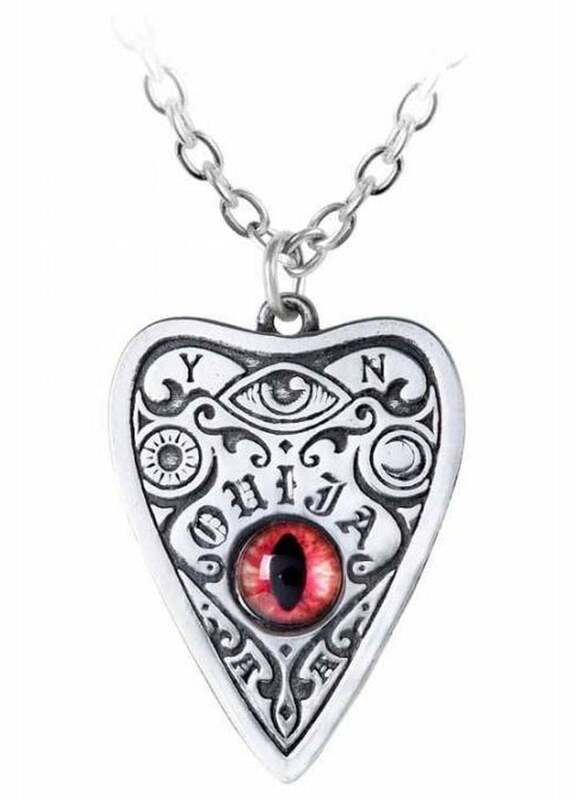 The gothic necklace features a ouija planchette with a red cat's eye set behind the sight hole. Let the dead talk directly to you, and peep through a keyhole into the underworld with the eye of the cat, using the unparalleled mystical powers of a talking board.